There was a period of time when we would get practically annual Castlevania games—sometimes even twice a year. I’m not saying this was ideal, because some of those games weren’t that great (Castlevania: Lords of Shadow 2). But it’s jarring to go from regular releases to none at all. Where has the Castlevania series gone? Why has it disappeared for so long? With the recent Netflix adaptation being received so positively, as well as the launch of Castlevania Requiem and the inclusion of Simon, Richter, Dracula, and Alucard in Super Smash Bros. Ultimate, clearly the series still resonates with Konami. It’s baffling that we haven’t had a new Castlevania game in five years. Arguably, we haven’t had a great entry since Order of Ecclesia for the DS in 2008. For those who aren’t familiar with Requiem, it’s a re-release of Castlevania: Symphony of the Night and Castlevania: Rondo of Blood, both packaged together for PS4. 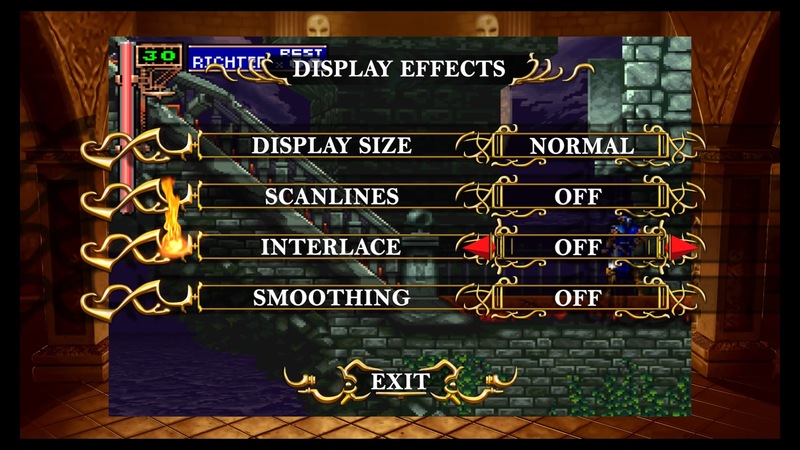 The beloved Symphony of the Night acts as a sequel to Rondo of Blood. It truly is a mystery. Perhaps Konami has found that the pachinko business is more lucrative than making home console games. That would be remarkable, but maybe it’s understandable, since it’s clear that the gaming industry can be quite rough. This is especially given the recent studio closures and cost cutting decisions made by various companies. It’s hard to believe it doesn’t have something Castlevania related in the works, but there’s been no evidence to support that. It’s gotten to the point where other developers have taken it upon themselves to deliver a true Castlevania experience, most notably with the upcoming Bloodstained: Ritual of the Night. After Castlevania series producer Koji Igarashi left Konami in 2014, fans were dying for a new 2D game like Symphony of the Night. Igarashi started a Kickstarter campaign and raised $5.5 million from backers for Bloodstained: Ritual of the Night, a game very much in the same vein as Symphony of the Night. Inti Creates even received a spin-off along the lines of the original NES Castlevanias called Bloodstained: Curse of the Moon, which you can play on the PS4 and Vita right now. A recent Nintendo Direct featured a release window for Ritual of the Night, noting that it should launch in the summer of 2019. Who knows if it will fill the void, but seeing as how Igarashi is on the project, expectations are quite high. It would be awesome to see a return to a true Castlevania game for modern consoles. It could be really interesting. Since retro-style games have had a resurgence as of late, it would likely be successful. Considering Igarashi raised $5.5 million for a new Castlevania-style game, the demand is clearly there. As long as it stuck to the 2D roots of the series and didn’t go off in some wild direction riddled with microtransactions or competitive multiplayer modes, there’s a chance it could do well. At this point, it’s unclear if Konami is considering this, or what their thoughts are about making a new Castlevania game. It seems like leaving money on the table, so maybe there are business reasons that are preventing the company from making more games in the series. Bloodstained: Ritual of the Night will have to do, since it’s the closest thing to Castlevania we have to look forward to. The series might be dead as we know it, which is crushing, but we have high hopes that Ritual of the Night will be great. What would you like to see from a new Castlevania game? Do you think we’ll ever see one from Konami again? Let us know!